We have just released our debut album and we'd like to take a listen to it on the link below and download the album for free. 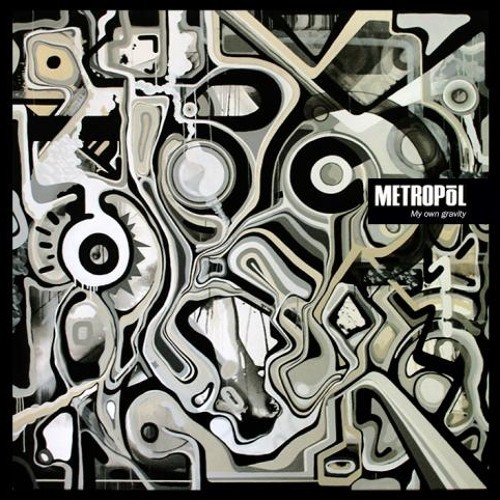 Our site: http://www.metropolband.com/download or facebook: https://www.facebook.com/pages/Metropol/5578534905?sk=app_146157758832243 More info: Band Name: METROPOL Genre: Indie Rock Influences: Talk Talk, The Durutti Column, Depeche Mode, Echo & The Bunnymen, Brian Eno Album Title: My Own Gravity Official site: www.metropolband.com Label: Coffy Entertainment A short bio: Metropol is an indie pop-rock band from Valencia,Spain. Since the release of their first EP in 2006 they have become the spanish band with the highest number of contacts and reproductions on myspace. Thanks to this achievement they had the opportunity to get in contact with many fans from all over the world including a good number of film-makers who offered themselves to carry out a series of videos (one for each one of the songs included in the cd ) which are now on display on the band's official webpage www.metropolband.com At the end of 2009 Metropol entered a studio to record their debut album and, after one year and half of hard work, they finally managed to release their self-produced record "My own gravity" in the spring of 2011. Due to the difficult situation of the spanish music industry Metropol is now trying to get known outside of the spanish borders, in countries where they believe their music can have a stronger impact and a larger audience. The album "My own gravity" is currently downloadable for free on the official webpage and on the facebook page of the band. walk on this ground now! @osakas-dream: ya.. el riff de piano... sabes que ha estado escrito en 2006 antes de que saliera starlight ?? :D de todas maneras es verdad, nos encantan Muse. Ciao ! Veo una clara influencia Muse por aquí, ¡nada mal!